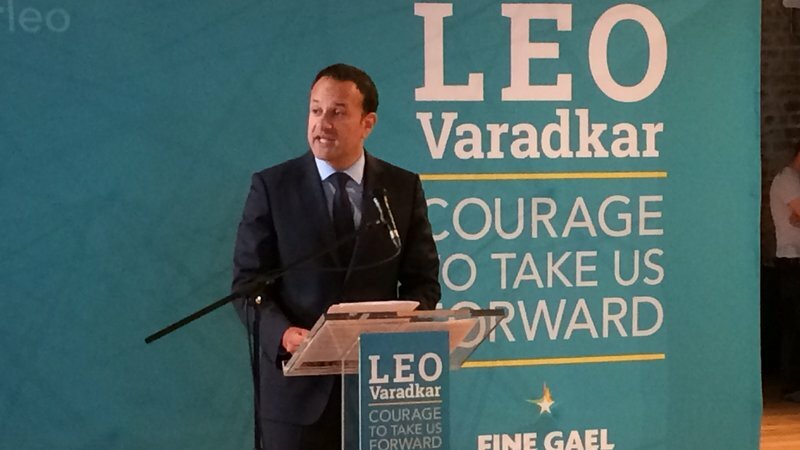 There was great excitement yesterday when Leo Varadkar was announced as the new leader of the Fine Gael party. This means that he will almost certainly be elected Taoiseach at the next meeting of the Dáil. Much of the press coverage focused on his attributes which would in the past have been a barrier to high office in Ireland. Around where I live there is additional excitement since he is a local boy having grown up quite close to where I live and even still lives in the area. He is a good communicator and is loved by the media due to his habit of giving a straight answer when asked a question (this sets him apart from most other politicians). However, I can't be totally enthusiastic about his election. Fine Gael is definitely on the right in Irish politics, but Leo's politics are on the right wing of the party. Many people think that his recent campaign against social welfare cheats didn't set a very good tone. I also didn't like the slogan of his leadership campaign which was that he would represent "the people who get up early in the morning" - this doesn't show much sympathy with people unlucky enough to be unemployed. I am not too worried however, because Fine Gael need support from other parties and independents and hence his right wing tendencies will be help in check.